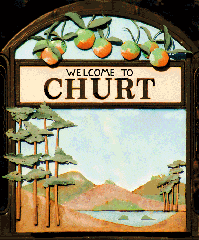 Situated between Farnham and Haslemere, Churt is on the edge of some stunning swathes of heath and common land from Hankley Common to The Devil’s Jumps and the Flashes. Former Prime Minister, David Lloyd George, made Churt his home in 1921 and developed his estate in the village as he withdrew from the political scene. The Churt Fete offers an afternoon of fun, games and entertainment for the whole family with tea and cakes by the WI and even a tug of war on the recreation ground.